Kelsi gave Jonna this birthday card last week. Its been sitting on the kitchen counter and every time I look at it it makes me laugh. 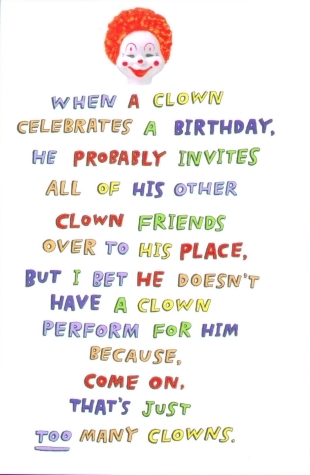 This entry was posted in General and tagged birthday, cards, clowns by Ron Bieber. Bookmark the permalink.